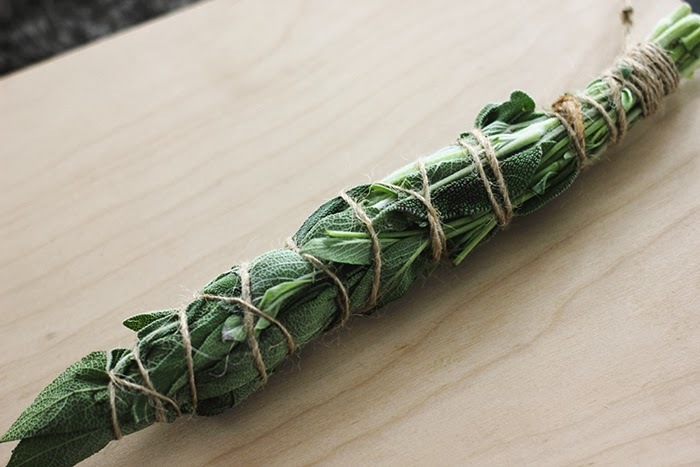 A smudge stick is a bundle of dried herbs (usually white sage), originally used by Native Americans as a way to cleanse a sacred space. I've seen smudge sticks popping up in a lot of small shops lately as a long lasting, great smelling incense. I love burning incense in my apartment so I decided to try and make my own to try out! It's super simple to make and easy to alter to fit your scent preferences. -Gather your sage together in a bunch. 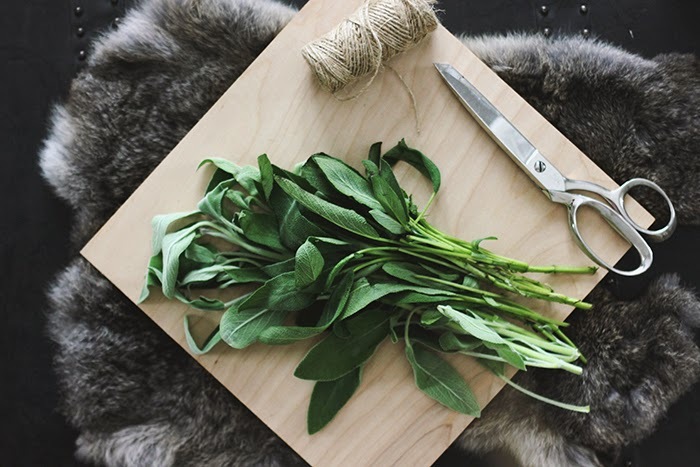 -Cut a string 3 times the length of the sage. 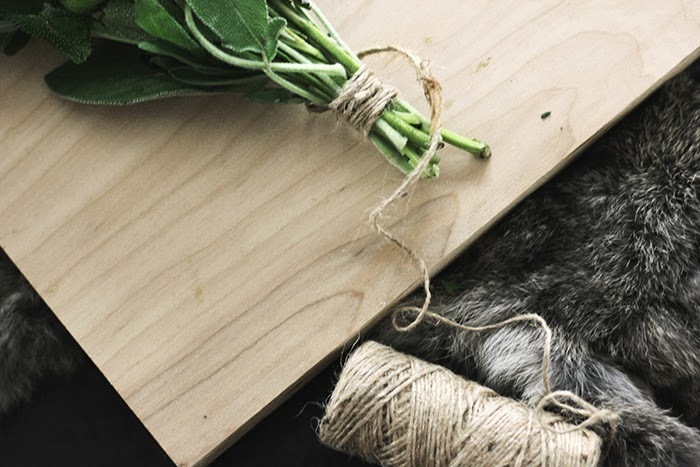 -Begin by wrapping tightly around the base of the branches. -Now wrap your way down to the tips of the sage leaves and the back to the base. Be sure to keep the bundle pretty tight, it will shrink down while it dries. Tie off the end. -Hang it to dry for about a week. 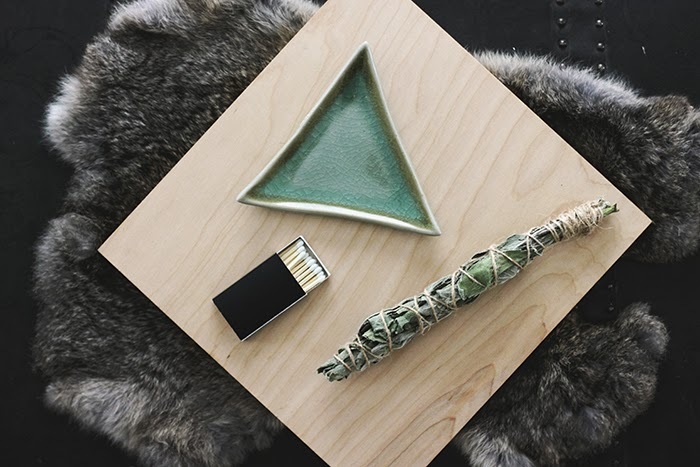 Now your smudge stick is ready to use! Be sure to use an ashtray or heat proof plate to catch the ashes. 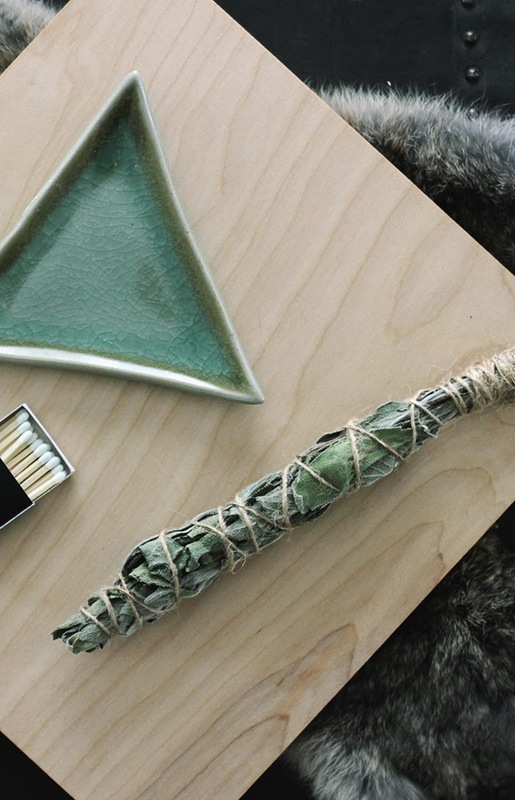 You should be able to get quite a few uses out of each smudge stick. 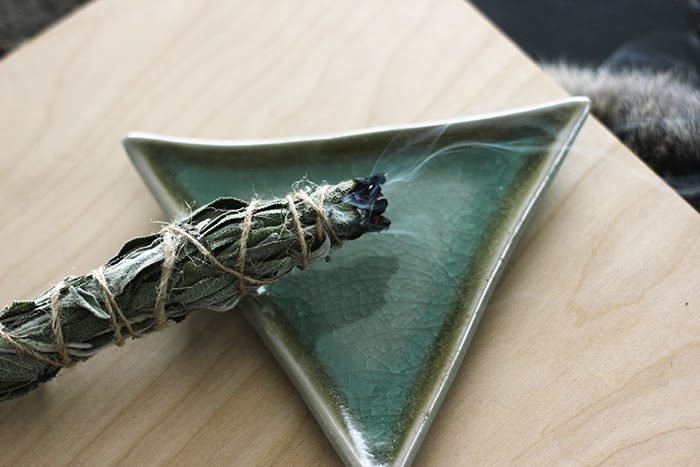 Try adding different herbs into your smudge stick to get the scent you want - cedar, lavender, rosemary, juniper, sweetgrass, and balsam fir are commonly used in smudge sticks. I adore sage! We have a big one in our garden and another little one in the terrace because I use it often for cooking. So I MUST try this...! Did you ever tried fried sage as aperitivo? So good! Hi Lallabel, so good right? And no I haven't anyway - must look into!